In February 1939 the world was holding its breath. In Britain training programs were ramping up as well as rearmament. We had to get the country together and armed to effectively wage any war that would come. Politicians in Parliament were debating on the merits of military expansion and whether that would just provoke the coming conflict more. 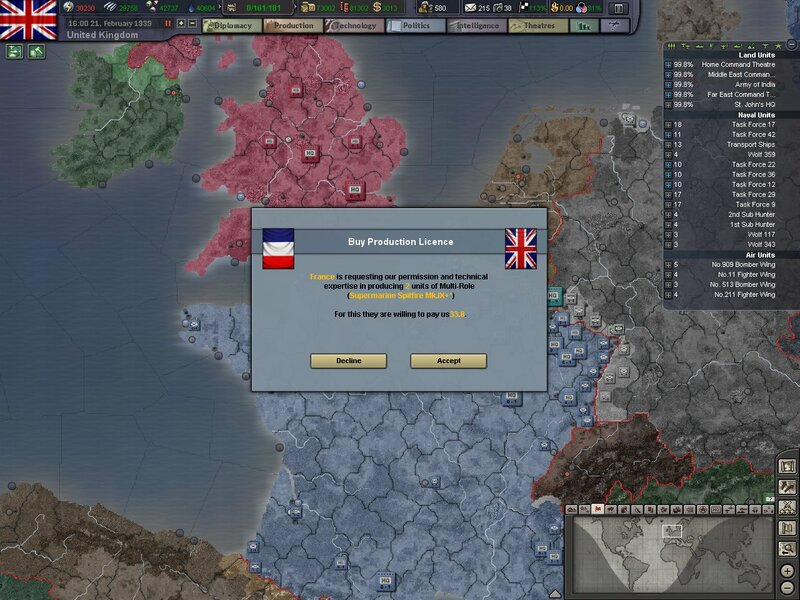 In late February we sold some Spitfires to our French allies. France is likely to receive a hammer blow from Germany when war does come so providing all the resources we can to France is a priority. Including selling and leasing military equipment to them. 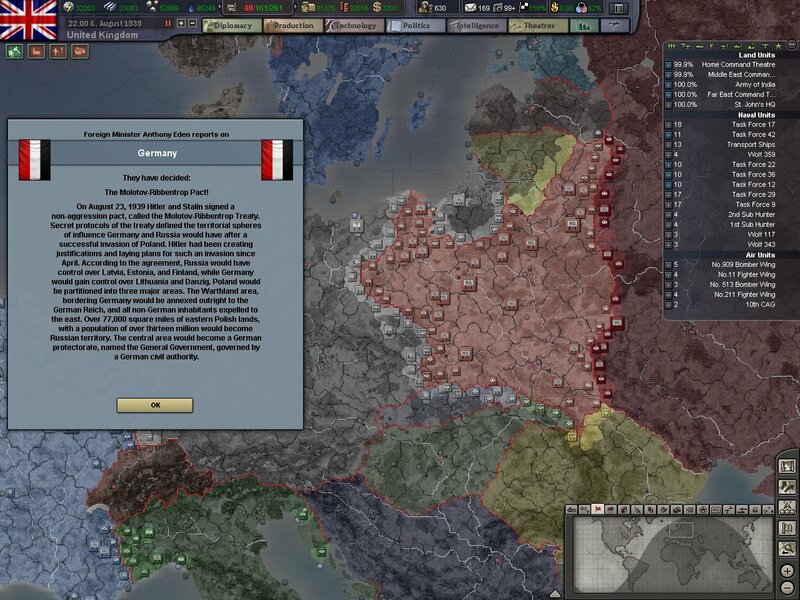 In late March, Germany who was growing tired of abiding by international law and reason, decided to fully annex Czechoslovakia. 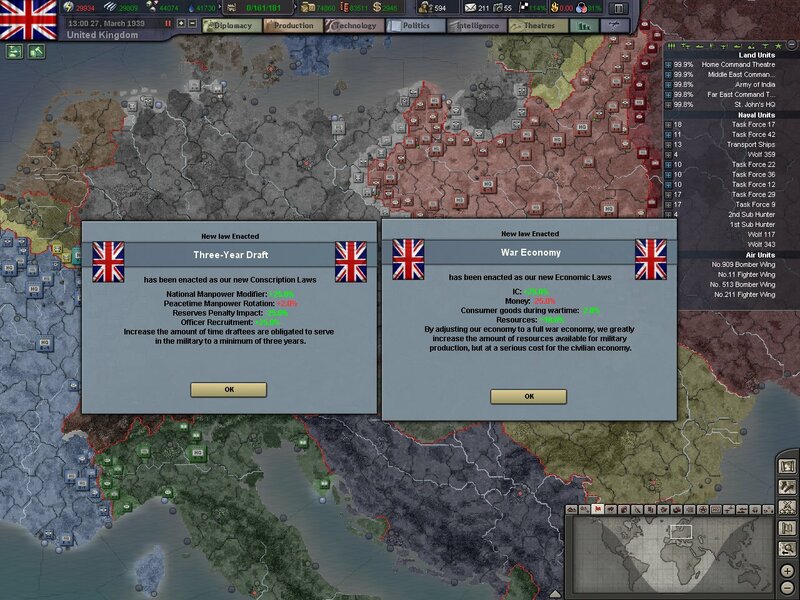 In response to the illegal and violent annexation of Czechoslovakia, the British government looked to eastern Europe for where the next German request for land would come. 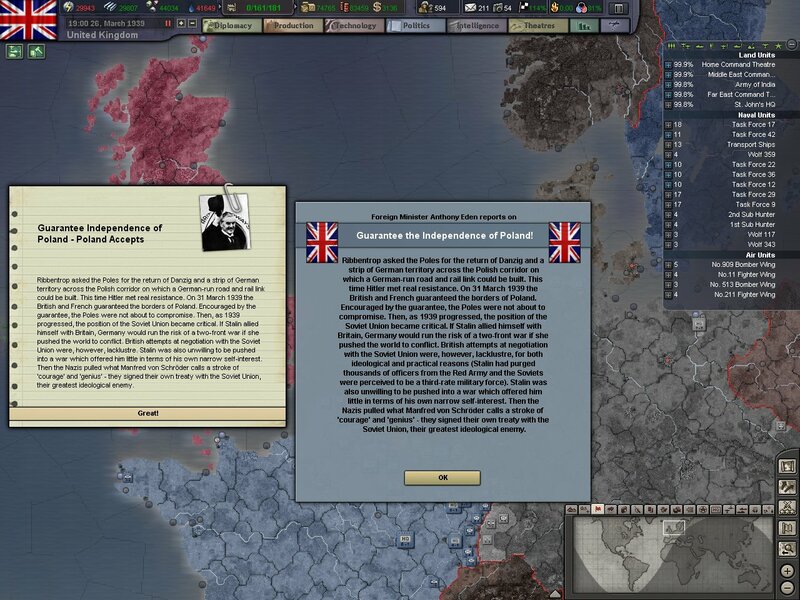 Our government as well as France's guaranteed Poland's borders and independence. 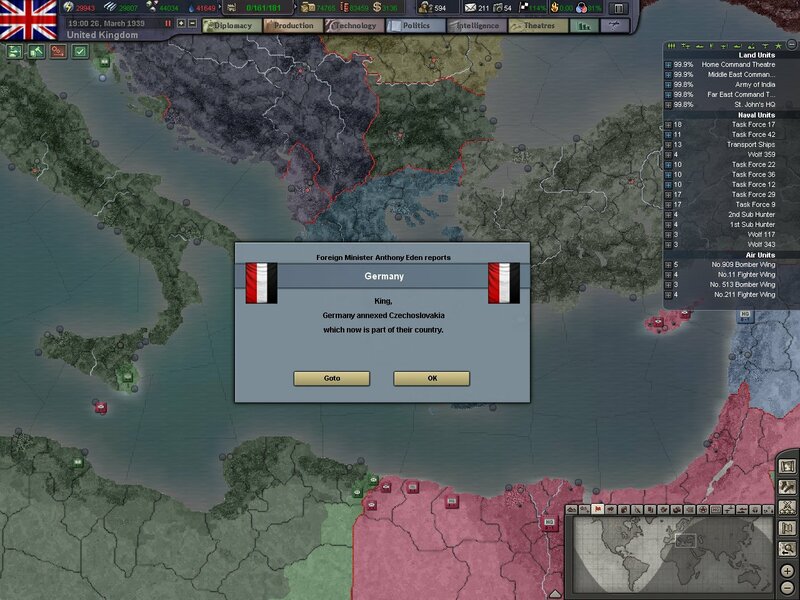 Late March was appearing to be a violent month as Italy attempted to fly under the radar and annex Albania. Greek, French, and Yugoslavian governments protested, and our own Empire governments protested this invasion and demanded the withdrawal of Italian troops. 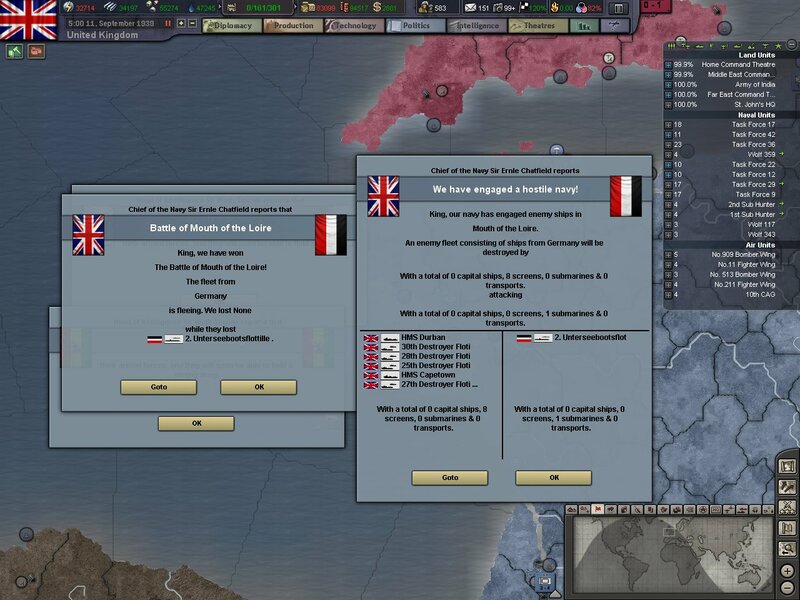 Germany threatened war if the threats against Italy continued, and the governments of the world trying to stave off war once again appeased Herr Hitler and gave in. One thing our government would do is they passed new laws. The new Three-Year Draft gave us a larger manpower pool and the economy laws gave us much needed IC. The IC would come in handy as we continued military expansion. What many hoped had been an April Fools joke by the press and government turned out to be quite true. 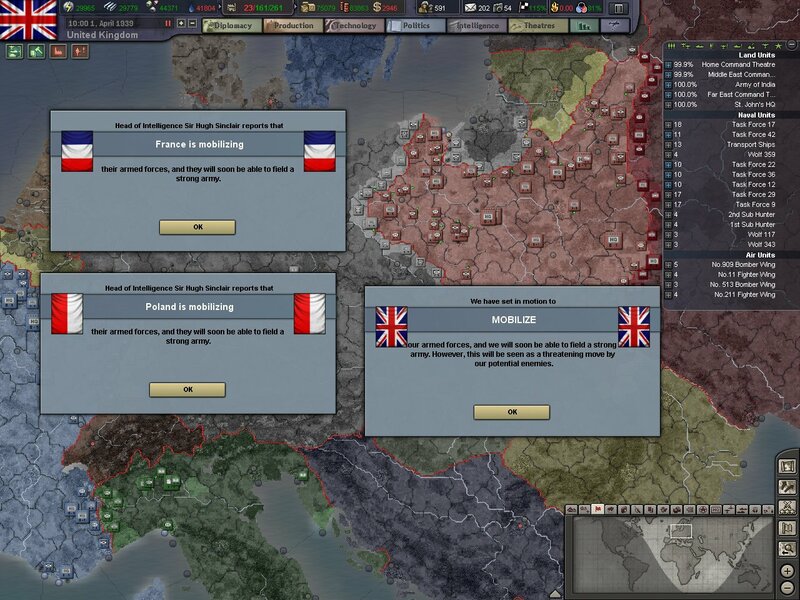 France first mobilized, then followed by our own military and finally Poland's. 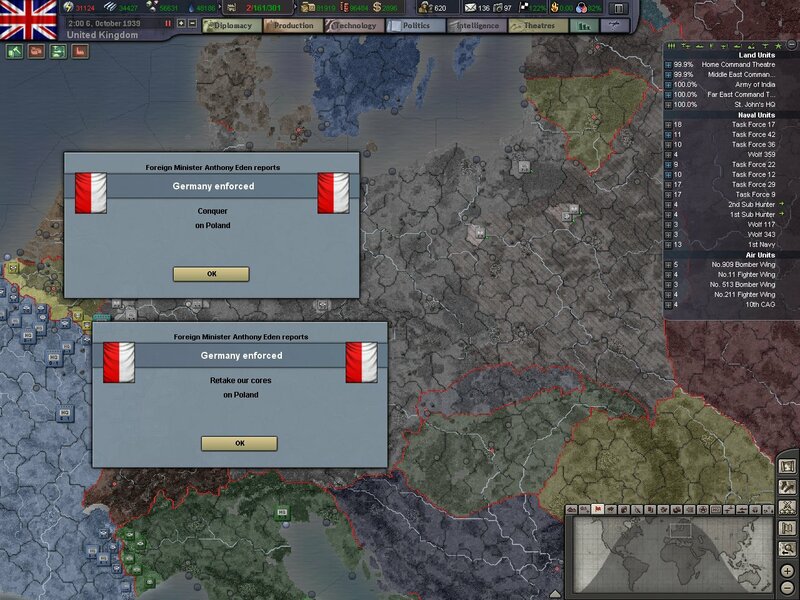 Germany and it's new ally, Italy were waving their military might around Europe. The Italian navy had been making shows of force with it's navy in the Mediterranean around Malta as well as Egypt. The German military had been moving large swaths of men to the Polish border. The Luftwaffe has also been violating Polish airspace and the Polish and German air forces have almost came to blows several times. 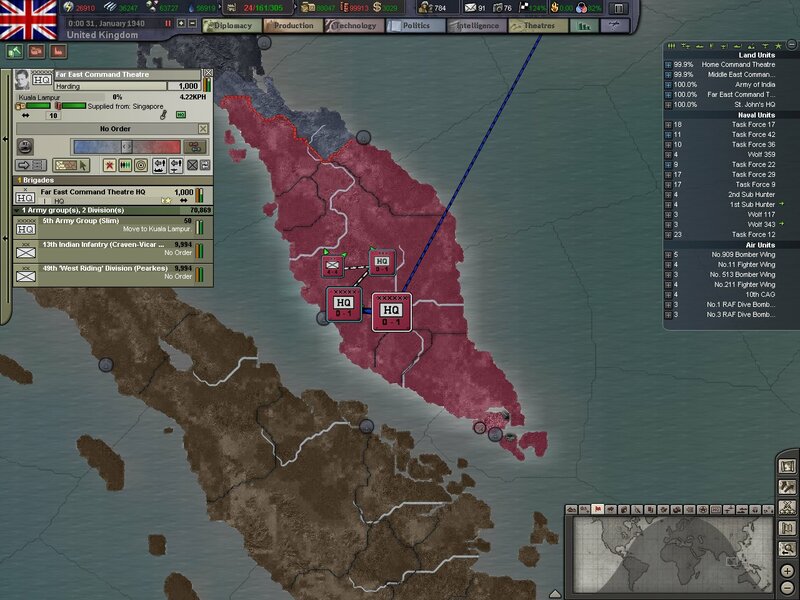 In May we completed the production of a cavalry corp. Many in the War Ministry balked at the idea of using horses in modern warfare. But these men wouldn't see action in Europe. Rather they would be sent to Africa where their ease of movement would be better suited to the African terrain. The hope is that these men could outflank and out maneuver the Italian and Ethiopian troops. The following month, Hitler made a deal with Stalin. 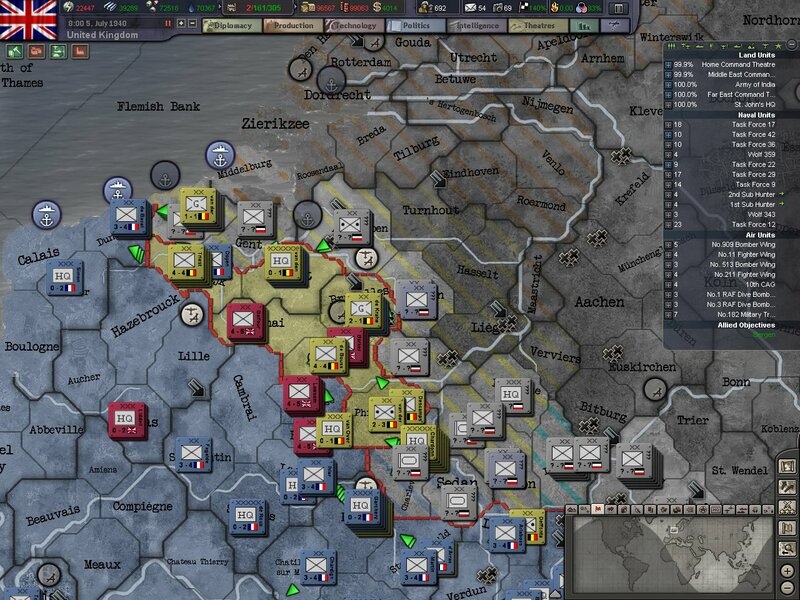 In a move very few saw coming, the two sides decided to split Poland. The agreement also saw a non-aggression pact signed by the two nations. 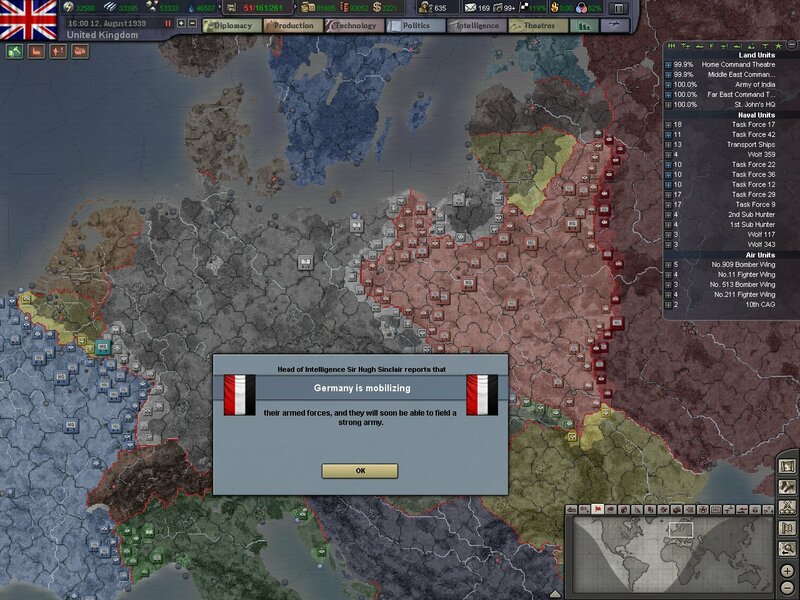 Six days after the pact with the Soviet Union, Germany mobilized it's armed forces. War was now imminent. 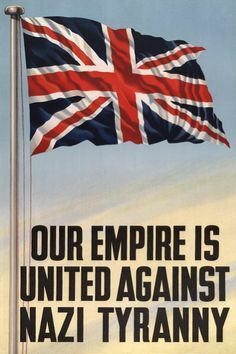 When news of the German mobilization hit the British Empire and men immediately stormed recruiting stations. 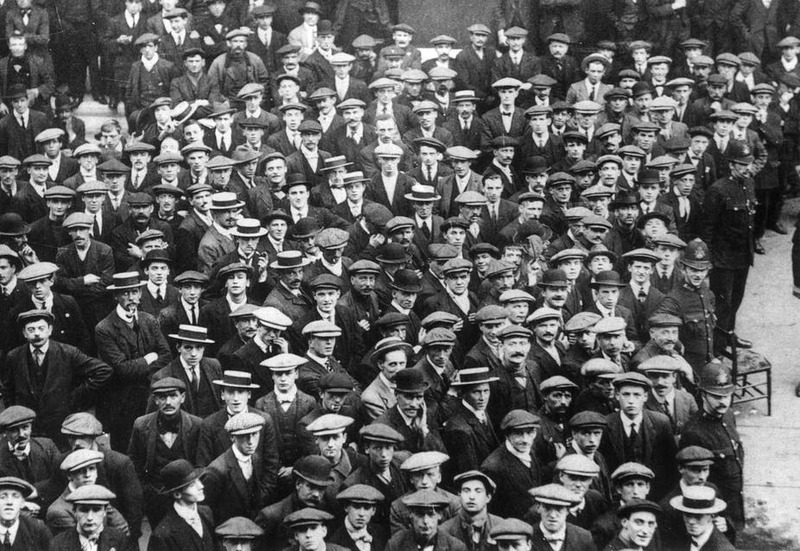 The amount of men who turned up to volunteer overwhelmed recruiters and streets were packed for hours as men waited to get inside. September 2nd, 1939. Was the day World War 2 started. Belgium and Italy both mobilized as war started and German troops and tanks marched into Poland. In response to the outbreak of war, Parliament passed sweeping legislation. 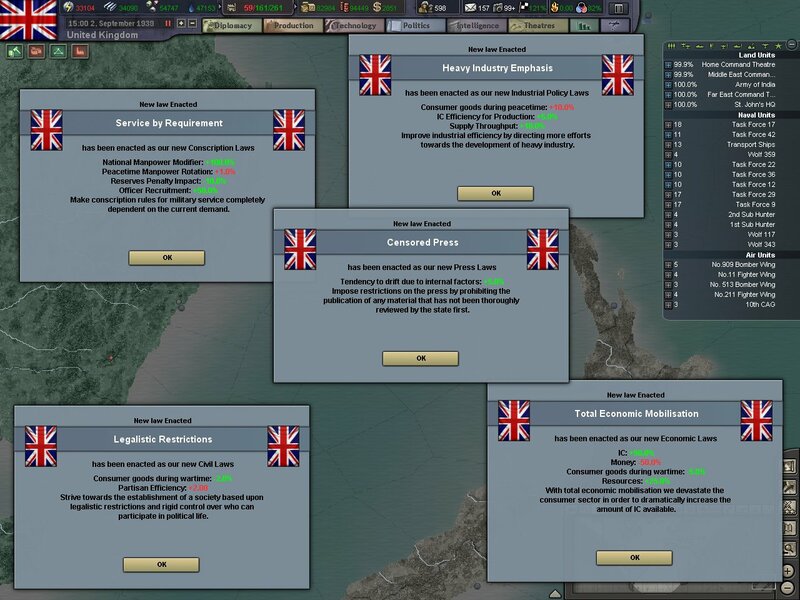 Conscription took over from a Three Year Draft, new economic laws thrust the country into total war. And a censored press made sure we could control the flow of information to the public. 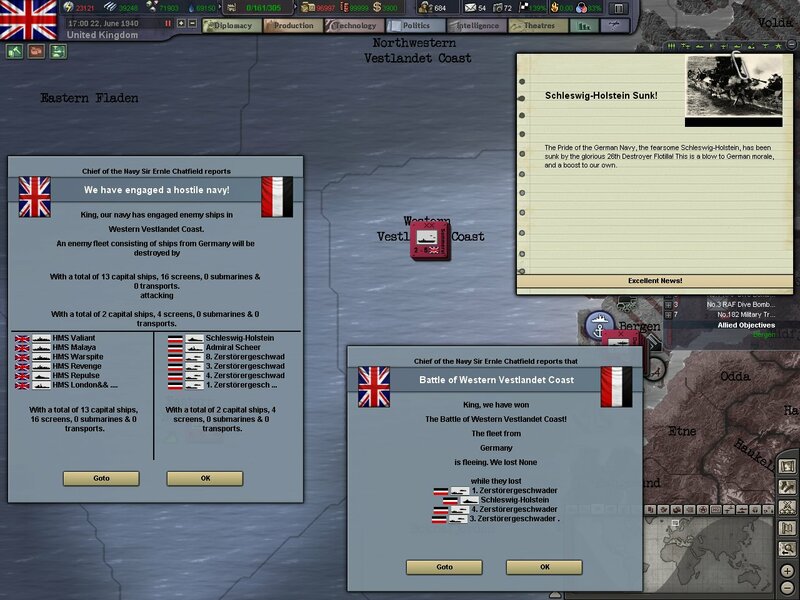 Over a week into the war and the first German u-boat was killed. The u-boats had been a menace during the First World War and would most likely be a serious threat again. Measures were put into place at the out break of war. Naval ships at sea and air craft based from the British Isles would have to properly coordinate to defeat and destroy the u-boat threat. But it appeared that submarines were not the only naval presence we had to worry about. Royal Air Force fighters searching for u-boats, came upon a heavy German surface fleet in the English Channel. They attempted to harrass the surface fleet but were pushed away by anti-aircraft fire. One of our own Royal Navy fleets was immediately dispatched to the channel to destroy this threat. Admiral Cunningham's task force, with the carrier HMS Glorious was dispatched to go and destroy the German fleet. This would be the first combat that our carriers would see against capital ships. Though no Germans ships would be sunk, several capital ships would be several damaged. The German fleet would elude Cunningham as well as Task Force 29 who were sent to intercept the Germans before they could retreat to port. Recon flights and radar showed that the German fleet that was engaged in the channel had fled to a port on the German coast. All the carriers we have available were made ready for the operation, as well as long range aircraft based in England. The air attack was launched on the night of September 19th. And would see four successive waves on fighters, bombers and dive bombers hit the ships anchored at port. As well as installations on the ground. The goal of the raid was not only to cripple or destroy the German fleet there. But to render the harbor unusable so that German ships would be forced to base in the Baltic Sea. Three light cruisers, and one destroyer would be sunk. With all the capital ships receiving atleast two torpedo hits and the naval base being render inoperable. In a matter of a month Germany had blitzed it's way across Poland and occupied the country. 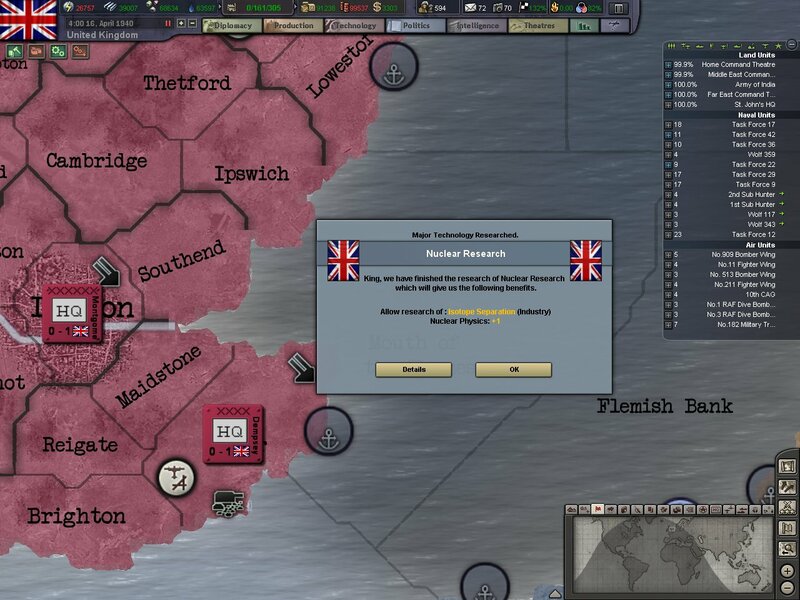 Several Polish aircraft and some surface ships managed to safely make it to England. But the first country had fallen to the Nazis. 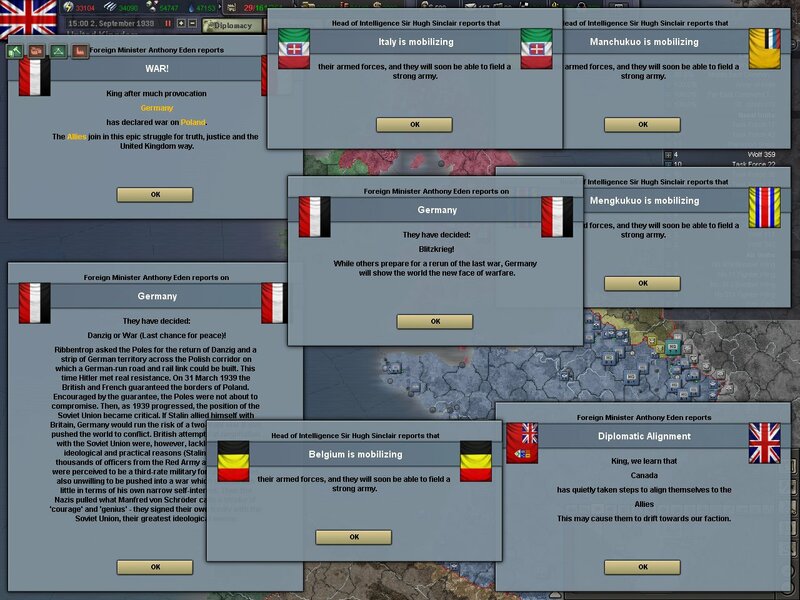 The next month, another country fell as a lighting quick invasion of Denmark. The country capitulated in less than a week and the Danish royal family decided to stay in the country to see it through the occupation. The invasion gave the Germans more ports to use and effectively made the Baltic Sea a safe zone for Nazi ships and shipping. In the Far East. We formed the 5th Army Group under Major-General Slim. This army group would be tasked with the defense of Singapore as well as any invasions from Siam. In February in the new year. Vice Admiral Sommervile sent his Task Force 42 into the North Sea on a sortie. There they made contact and engaged a Kriegsmarine surface fleet. Once again no ships would be sunk but several would be heavily damaged. The fleet engaged off Norway would be tracked to the Danish port of Fredrikshavn. Once again carrier based aircraft attacked the port and the ships in the harbor. 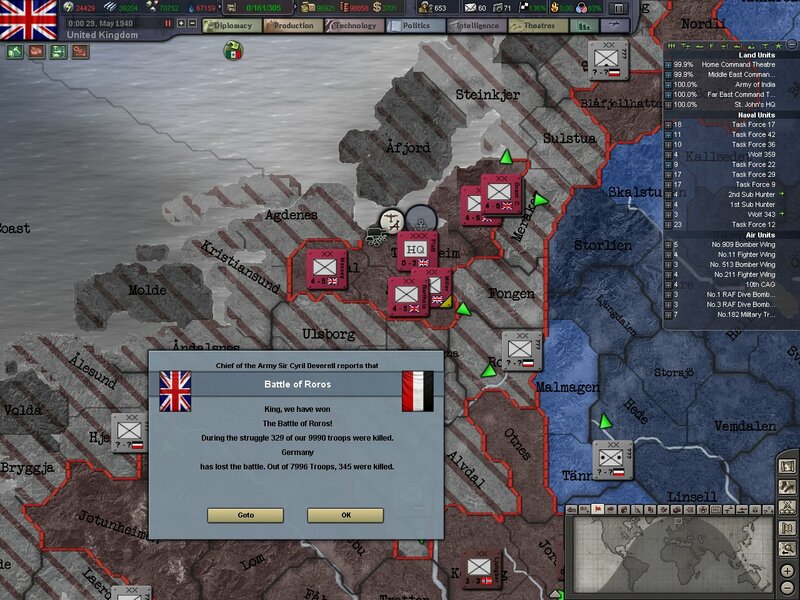 In early March, Nazi Germany declared war on Norway thrusting them into the war. Norway then allowed us to base aircraft and ships in their country. Land based aircraft then also launched attacks on Fredrikshavn from airfields in Norway. Two air attacks would be launched on Fredrikshavn, both with land and carrier based aircraft. The attacks would be an overwhelming success. 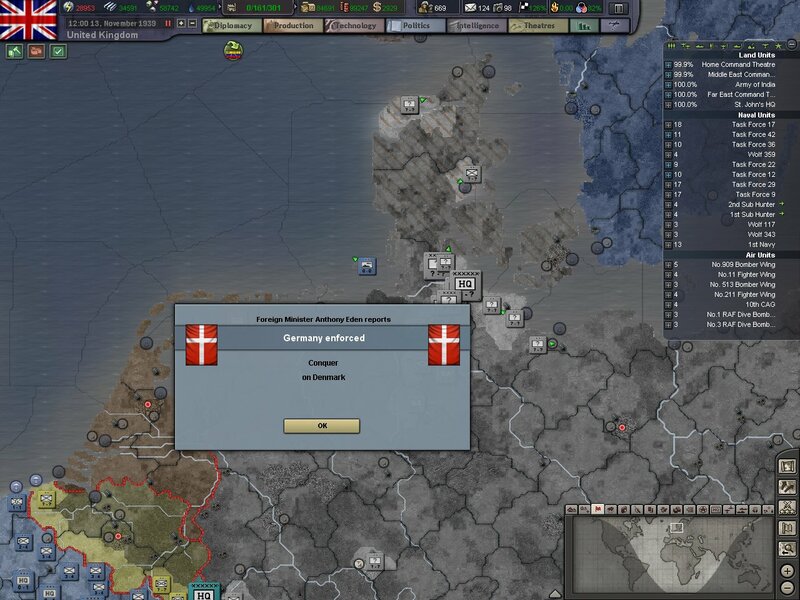 The few German aircraft stationed in Denmark were caught completely off guard. Majority of planes would be destroyed on the ground rendering the ships in the harbor completely defenseless and would pay the price. In a matter of two raids, both lasting only 4 hours. All Germans ships would be destroyed. And critical infrastructure in the harbor would be damaged beyond repair. In mid march, two infantry corps were shipped to France. These troops would man the French border with Belgium, and in the event of any German invasion through Belgium would march to meet the Germans along the series of rivers and defensive position that the Belgians had established. 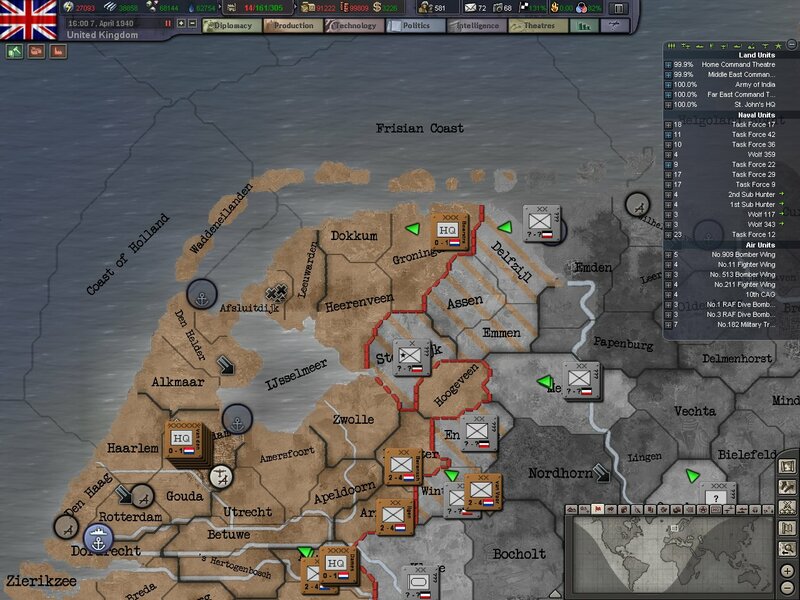 MI6 reports began to filter back reports of huge German troop movements towards the Netherlands, and on April 7th these reports rang true as German infantry flooded across the Dutch border, overwhelming the scattered Dutch defenders. 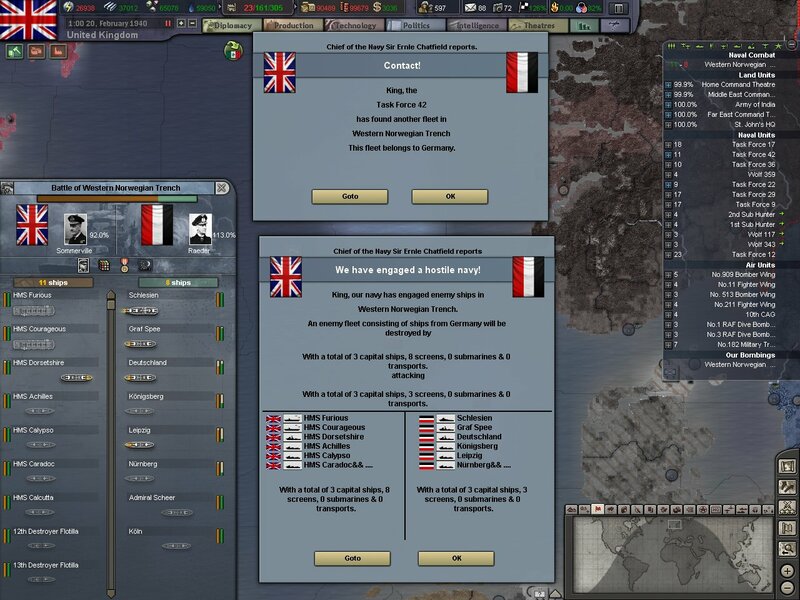 As the Netherlands began to fall, Parliament requested border access and transit rights from the Belgians. The request was promptly denied. 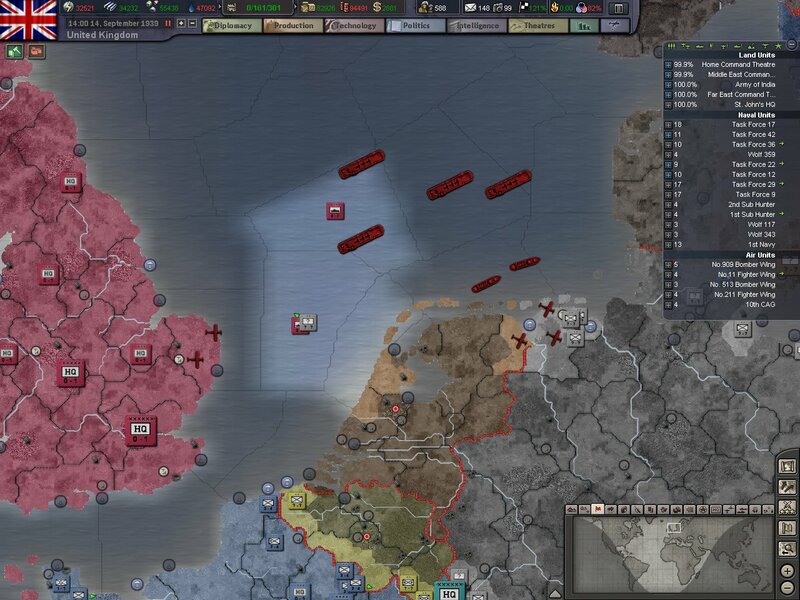 Our troops would be unable to move into Belgium or the Netherlands to support our allies. Our troops were forced to wait for the Germans to invade. 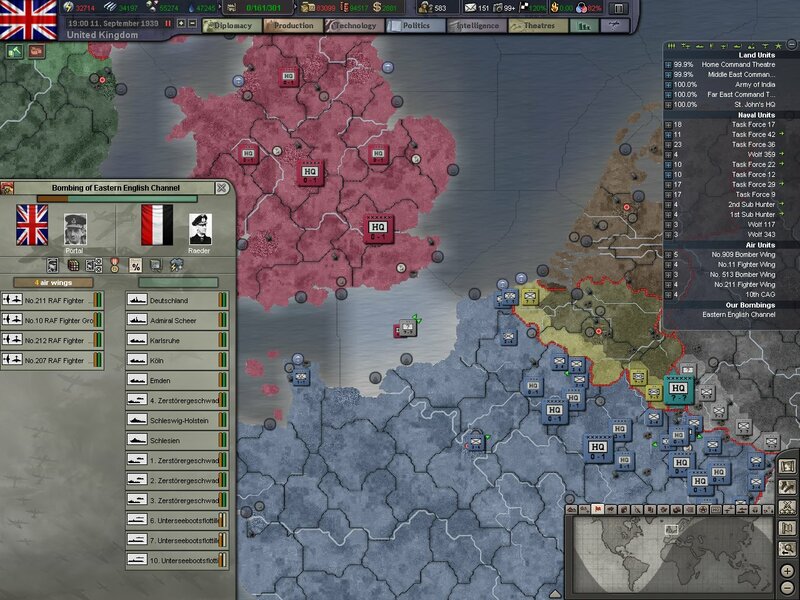 Belgian incompetence had doomed the Netherlands. We finally got some new good news in mid April. Our scientific research had made its first gains in the department of Nuclear Research. If we could harness the power of the Atom, we might be able to bring the war to a fitting conclusion. But time would be our main factor. 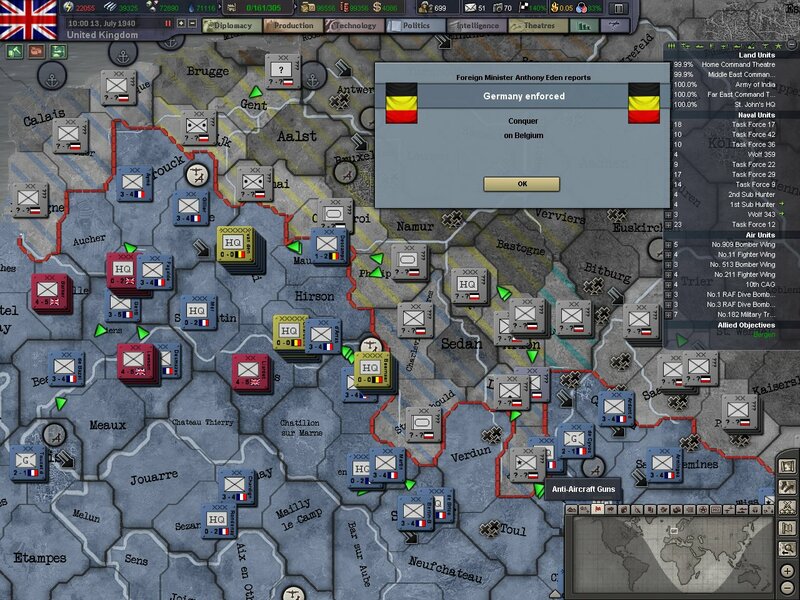 With the invasion of the Netherlands virtually over, the German army continued it's sweep down into Belgium. Only after German troops had overrun border defenses were British and French troops allowed in. Our two corps made a mad dash to get into positions to halt the German wave. 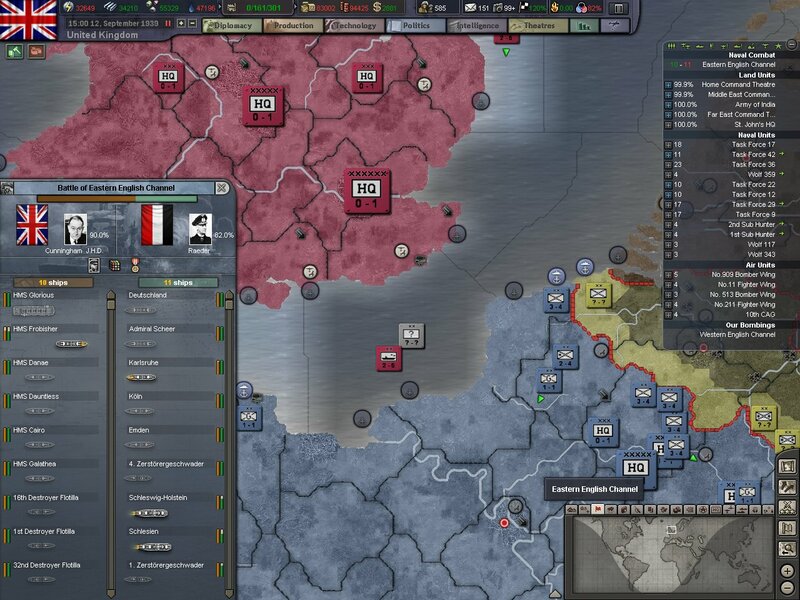 Empire troops and Nazi troops made first contact near Namur around April 30th. It would only be a small skirmish with few losses but it would be followed by several hard German assaults. 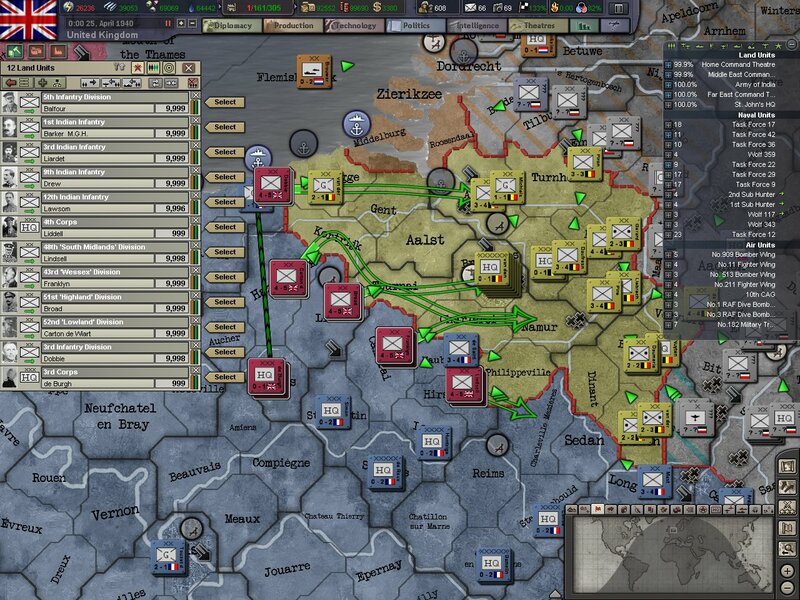 The Germans soon discovered they couldn't break the line until their infantry and panzer divisions reorganized. The German assaults shifted to attacking along the coastline which was held by Belgian troops. 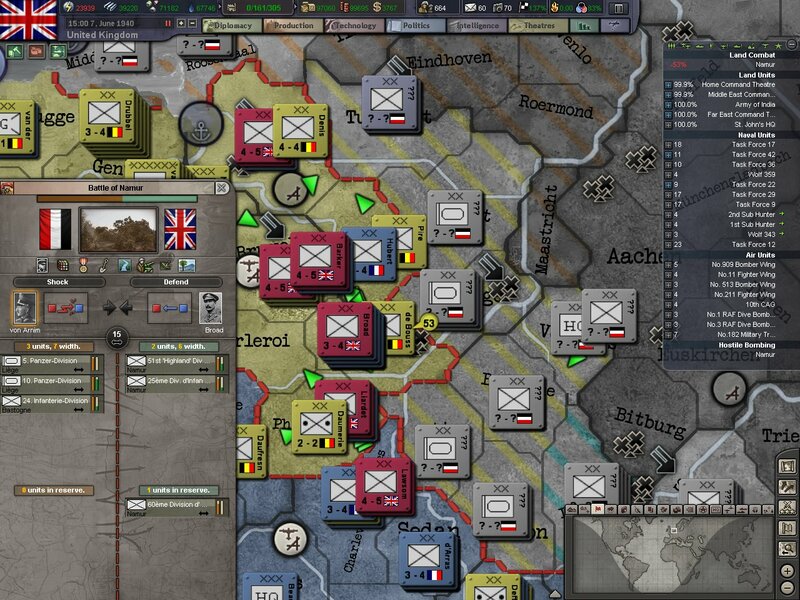 Nazi troops made progress and secured Middleburg and Roosendaal, threatening to outflank our defensive line. In mid May, a German invasion of Norway took place. German troops made quick gains in the country and their divisions began to speed towards vital ports as well as Oslo. 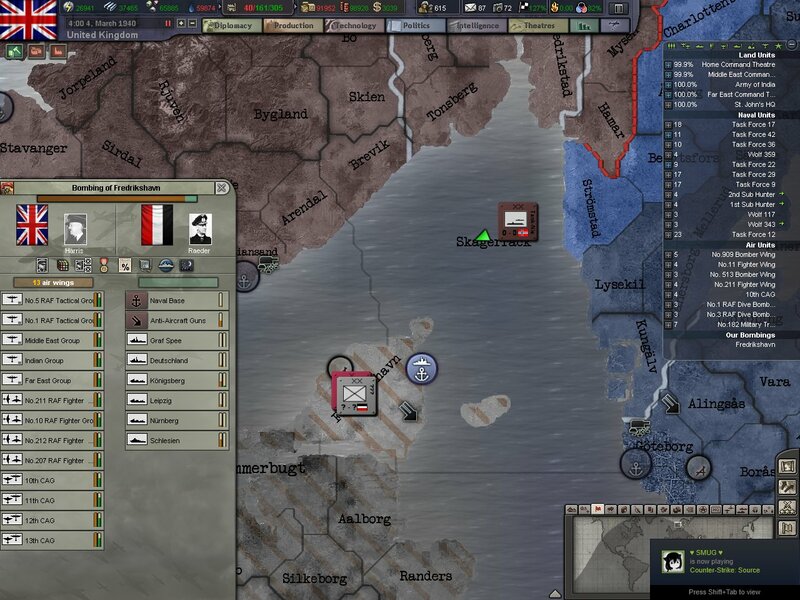 The decision was made to land a corp behind the Germans in their port of invasion. 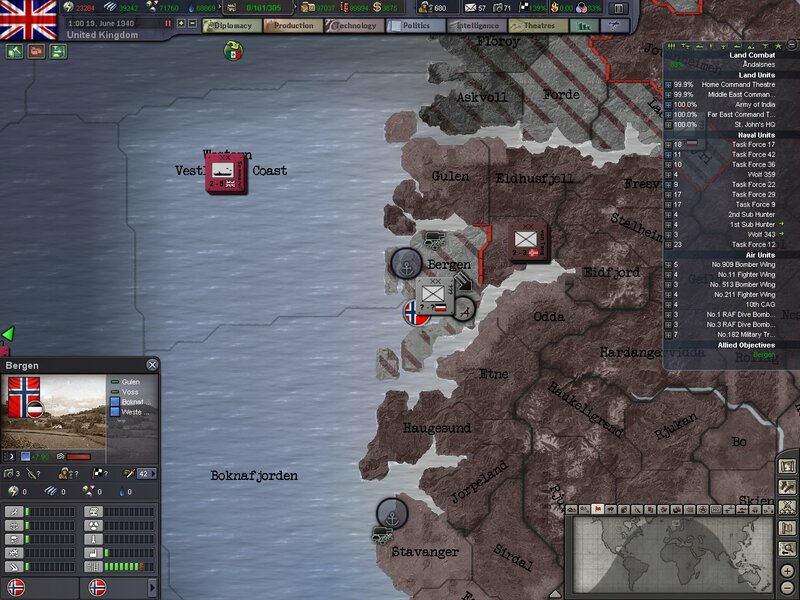 Task Force 12 under Admiral Fraser landed a corp of infantry in Trondheim. The German invasion was taken completely off guard by this swift and courageous attack. Supply lines to formations in Norway were cut off and German units began to be picked apart one by one. The ground favored the defending side but the lack of support and supplies to German units made their position a poor one. In a matter of a week our troops were able to halt the German advance towards Oslo and begin to surround and destroy Nazi divisions. In Belgium the Nazi attacks increased. With their infantry and panzers finally brought to bear against our men we were having a tough time holding them back. 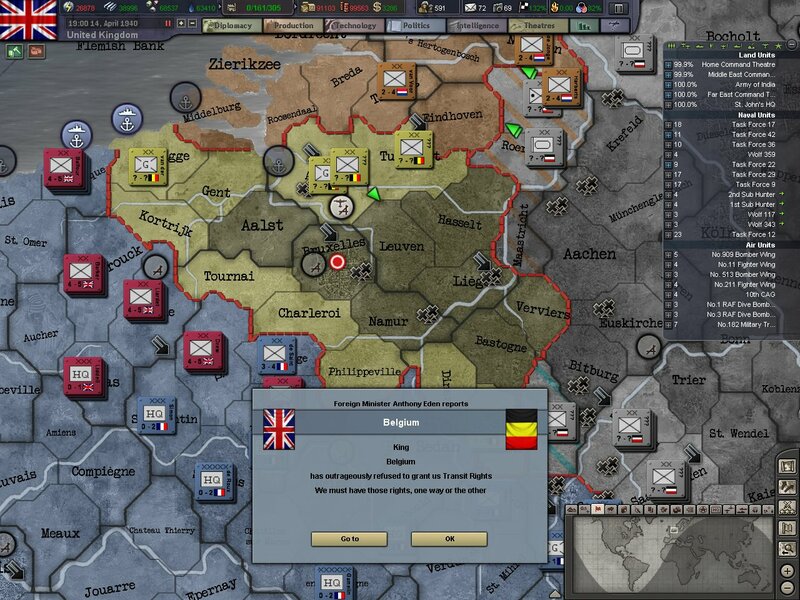 Our troops were forced to retreat and put the city of Brussels on the front line. German and Slovakian divisions soon attacked the city, and German troops continued to try and drive down the Belgian and French coasts. 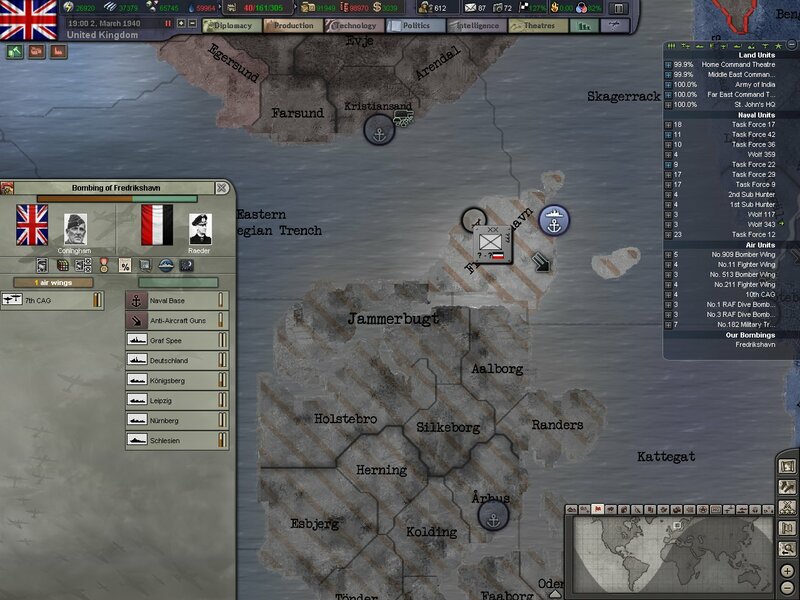 In Norway, the Germans had managed to sneak a division into Bergen. The German divisions already in Norway were only a hundred or so miles from Bergen and only two Norwegian divisions stood in their way. 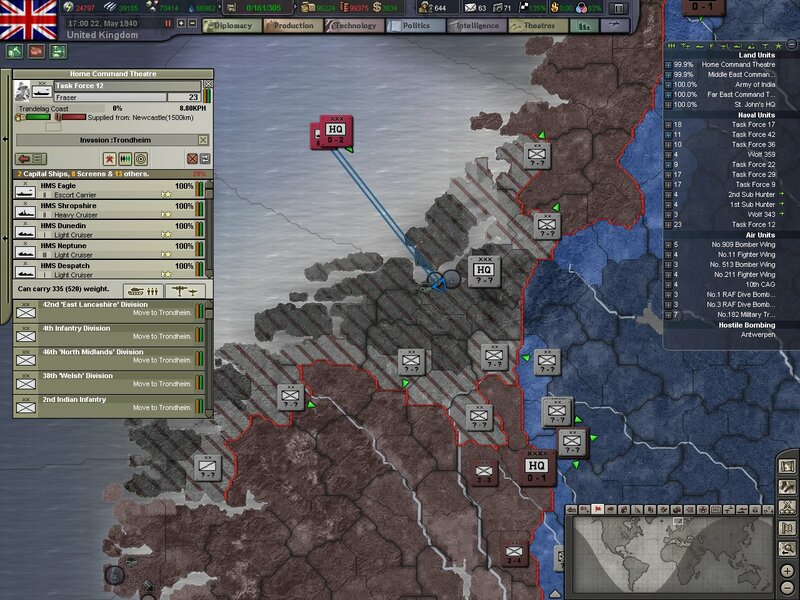 Our troops began to scramble and a naval blockade of Bergen was put into place. Several days later a massive naval battle took place off of Bergen. The Kriegsmarine attempted to force the harbor open at Bergen, bringing all of their capital ships to bear against our fleet. The following two naval battles of Bergen would go done in Royal Navy history beside the likes of Trafalgar and the Nile. The combined fleets of Task Force 9 and Task Force 42 would obliterate the Nazi fleet.. The big guns of the battleships and fast attack aircraft from carriers proved finally, that used in the right situation that carrier based aircraft could be devastating. Both the Bismarck and Tirpitz, as well as their supporting heavy cruisers, light cruisers, and destroyers would be sunk. The few surviving ships, including the last surviving battleship of the Kriegsmarine, fled into Bergen port. Royal Air Force bombers from Oslo then took over the assault and would sink the few surviving ships in the harbor. In Europe, things were not looking as well as they were in Norway. German troops had reached the port city of Dunkirk, and pushed our British and French troops almost totally out of Belgium. 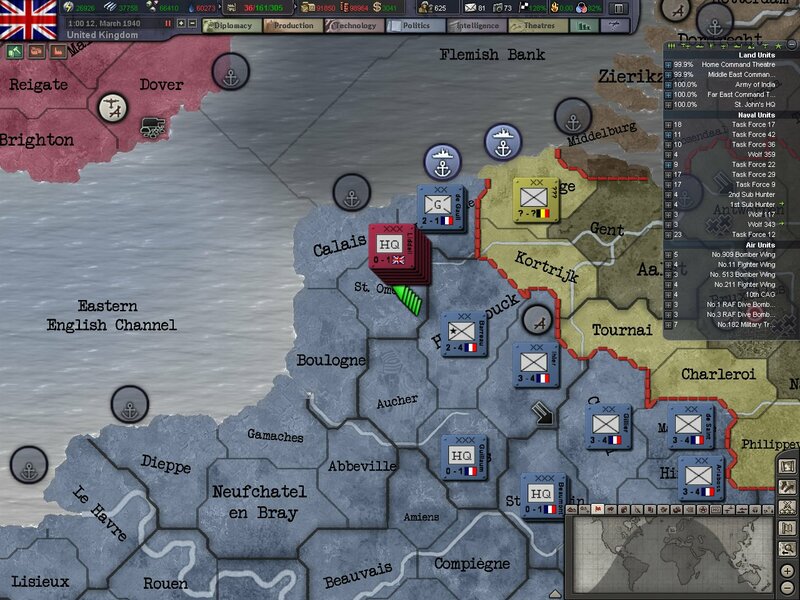 We had no choice but to make a retreat out of Belgium and hope to form a defensive line stretching from the coast in land in front of Paris. As Belgium was formally conquered, we began to see the writing on the wall. The French Army was scattered and was in no shape fight a battle anywhere. Plans began to be drawn up for an evacuation from France. The port of Dieppe was chosen and preparations began immediately to evacuate all British troops and their heavy equipment. As a crisis began to develop in France, the situation in Norway had some large developments. 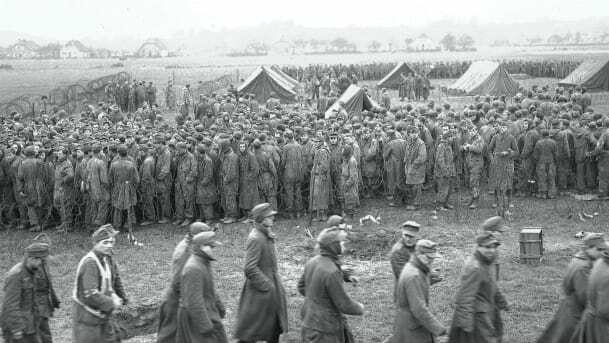 In Floroy alone, over 25,000 German troops were captured and marched into captivity. 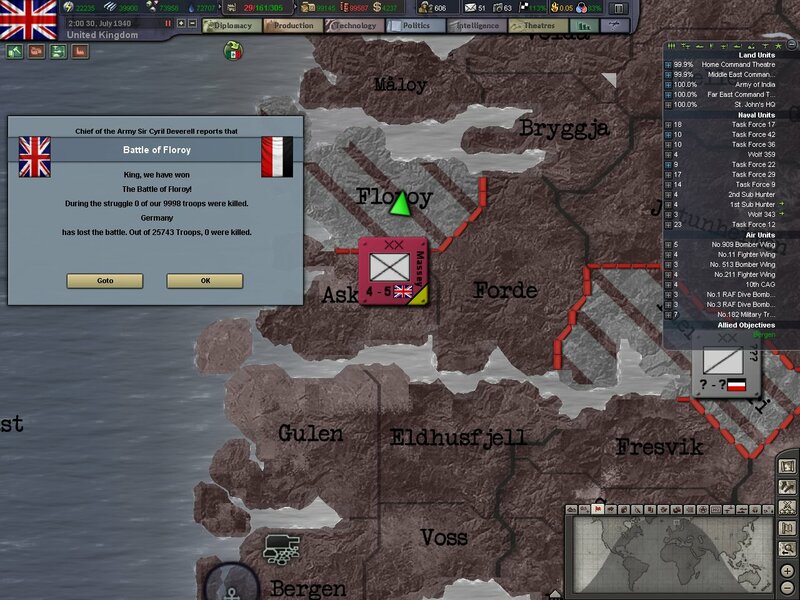 In the campaign in Norway we took over 50,000 prisoners. The German invasion had been a disaster and hundreds of tons of supplies and equipment were lost. It was a lone bright spot for the land campaign in Europe. In August we got even more bad news. 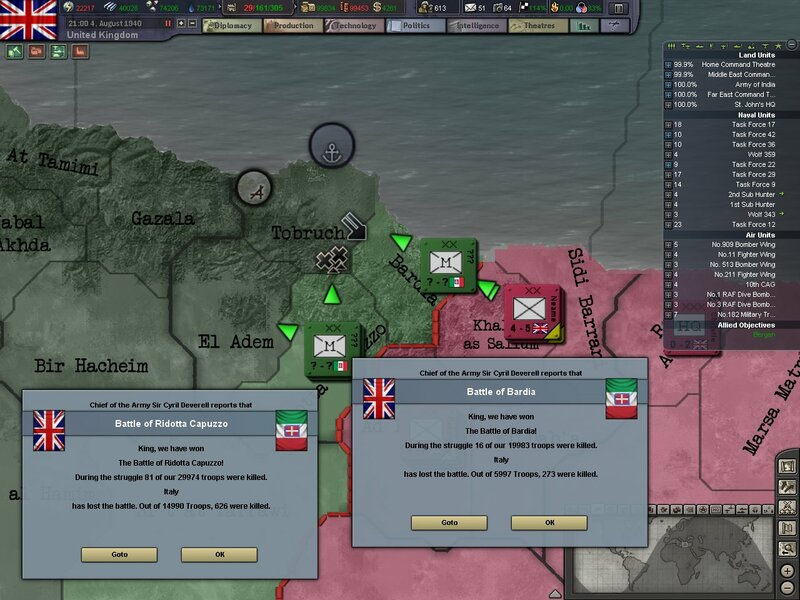 Italy declared war on us and our allies. But we were prepared for this, as soon as we received news of the declaration. 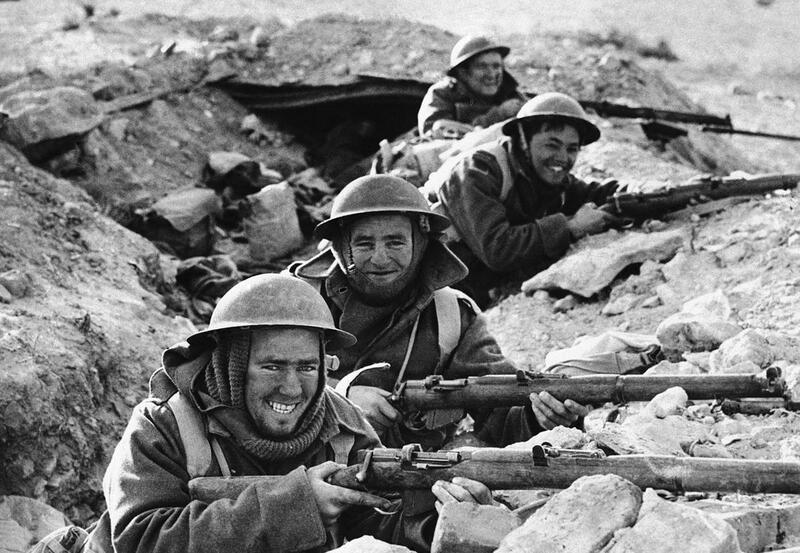 British troops in Egypt immediately attacked the Italians and began to force their ill-equipped militia out of their positions. Our troops found themselves before the fortress city of Tobruch. Bombers based in Egypt as well as the naval guns of the fleet from Alexandria helped to weaken the defenses but it would still prove to be a bloody fight. 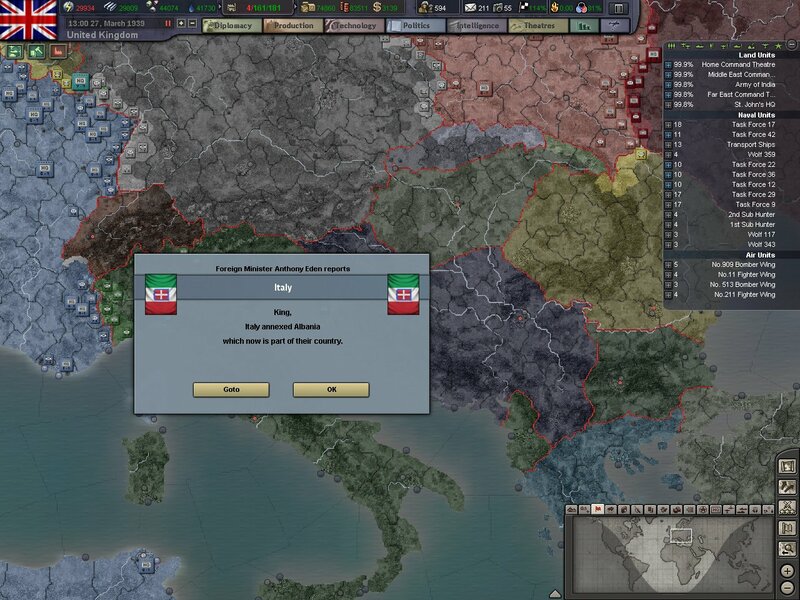 With Italy entering the war on the side of Nazi Germany the situation in the Mediterranean changed drastically. The Italian navy was large and had several modern battleships capable of going toe to toe with our own. This new threat would require drastic measures to secure the balance of power and to protect the vital supply lines to Egypt. 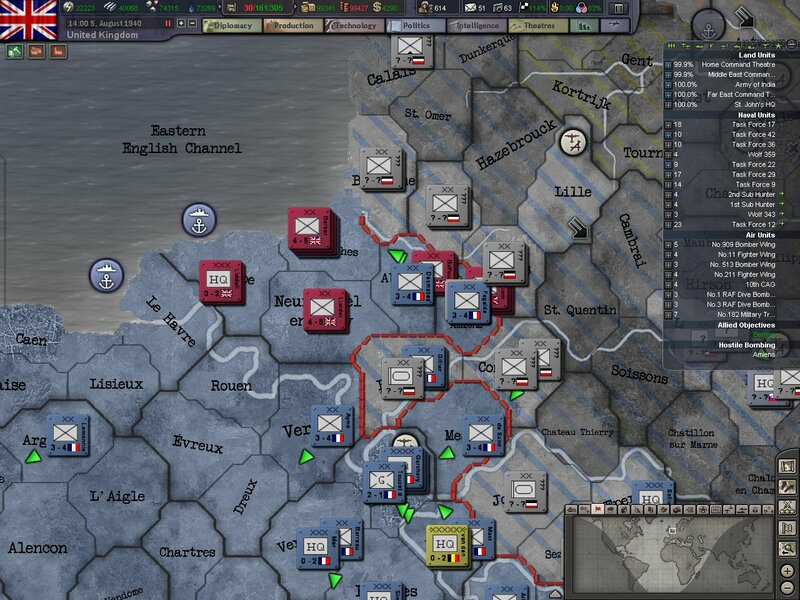 Our troops in France were slowly being squeezed into a small pocket. As Nazi troops reached Paris they threatened to encircle our two corps. Plans for the evacuation were sped up and non vital equipment was left behind. Divisions began to fall back towards Dieppe and the RAF from England was ordered into the skies to defend the port from Luftwaffe attack. 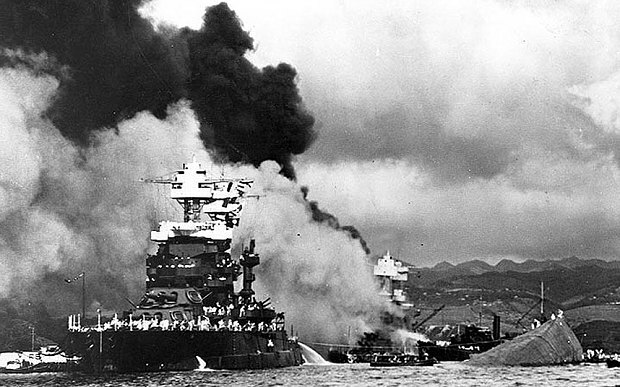 The ships in the harbor were being devastated from almost continuous bombings. 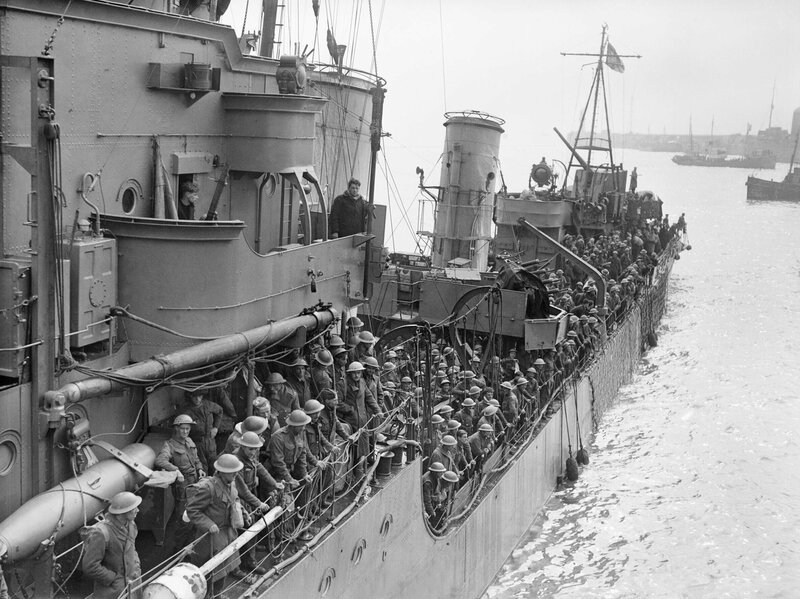 On August 13th, the small BEF made up of two corps was safely evacuated from Dieppe to England. The two corps had suffered heavy casualites, with 25% of it's heavy equipment being left in the port. The naval fleet that got the troops out would also be out of action for some time due to damage taken getting during the operation. 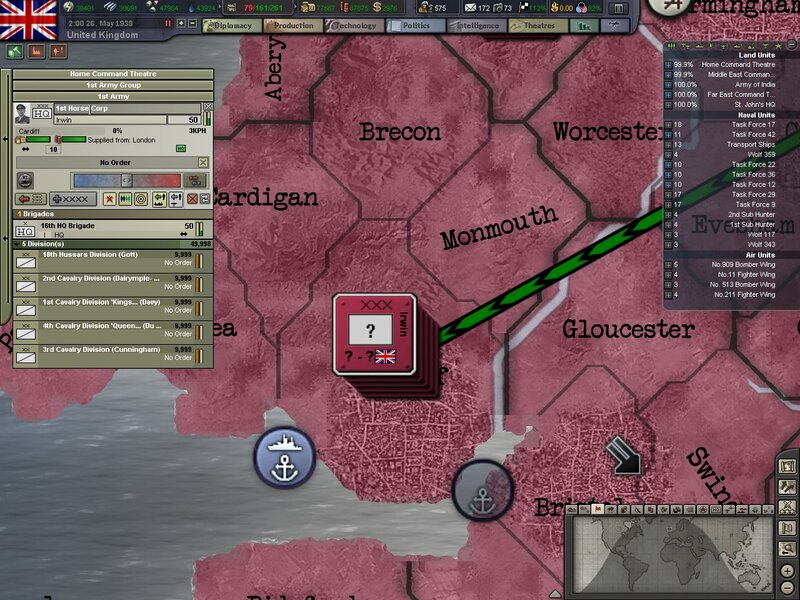 During the evacuation while Nazi bombers raided night and day, Admiral Mountbatten was requested by his senior staff to move the fleet from Dieppe port, effectively abandoning the BEF to it's fate. Admiral Mounbatten was said to have replied-"It takes 3 years to build a ship, it would take 300 years to build a new reputation. The Navy will not abandon the army." The conduct of the Royal Navy and Air Force during the evacuation was nothing short of heroic. Several Military Medals and two Victoria Crosses were given to airmen and sailors during the 6 day evacuation. On August 16th, British troops took the city of Tobruch from Italian troops, losing 840 men to take the vital port. With the situation in France turned from disaster to narrow escape, our focus shifted from holding the Germans back, to finding out how to take the fight to the enemy. In Egypt,our men would push down the Libyan coast driving the Italians out of Africa, and our Horse Corp would take and secure Ethiopia. The Royal Navy would patrol the Mediterranean searching for the next Italian offensive. In Scandinavia, the situation was stabilized. But German troops travelling through Sweden were threatening another invasion of Norway. Diplomatic pressure would have to be applied to the Swedes, and if all else failed an invasion was not totally out of the question. At home, our new objective was to protect the convoy routes and defend the British Isles from air attack, and any possible naval invasion. But with the Kriegsmarine so badly damaged an invasion was most unlikely. 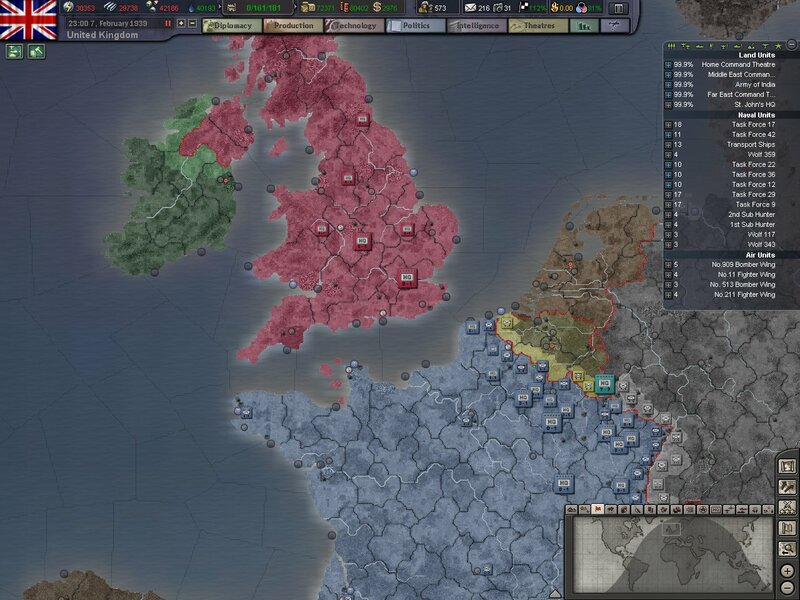 The remaining months of 1940 are going to prove critical to the war. And who ever makes the next big move might be able to swing the war totally in their direction.